The best part of Christmas morning for me is the stocking. 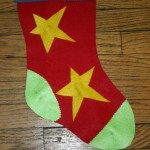 Stella and I are very fortunate to have stockings knit by my grandma – they really stretch!!! I have not tackled knitting a stocking and not sure I ever will, but this year I made a couple different stockings. I have already shared one with you – the felted sweater stocking – and here is another one – with one more to come! 1. 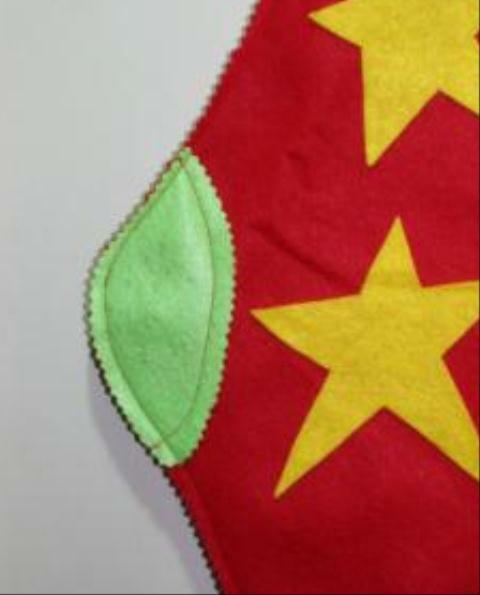 Cut 2 stockings from your large felt piece. 2. 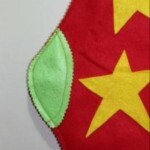 Cut out your felting decoration pieces. 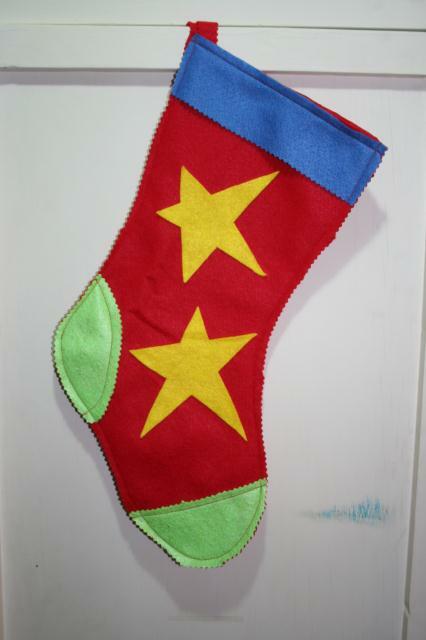 I chose to do a heel, toe, stars, Christmas tree and stocking topper. 3. Glue on your felt decorations. I glued the starts and the Christmas tree on with regular Elmer’s glue – allow to dry completely. 4. Sew on the other felt pieces – toe, heel, topper. 6. Place to stocking wrong sides together – you want the decorated stocking on top. Fold the strip in half and place between the stockings in the top corner – this is the hanger.Sew a seam around the stocking leaving the top open. 7. With your shearing scissors, trim the seam all around the stocking. 8. 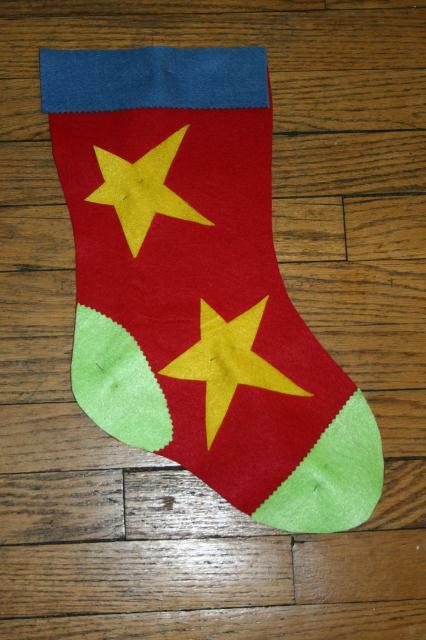 Hang by the fireplace or wherever you hang your stockings and who knows what will be in it come Christmas morning. 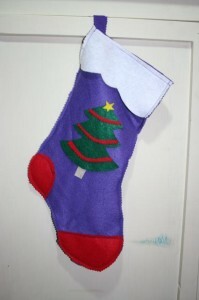 This entry was posted in Crafts, Sewing and tagged christmas, sewing, stocking. Bookmark the permalink. Yes – this is a great kids craft project!